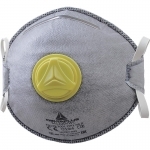 3М 9914 FFP1 cup shaped respirator with additional protection against nuisance level organic vapors. 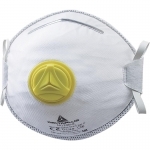 Disposable respirator for respiratory protection against fine solid or water based aerosol particles in concentration up to 4 times TLV. 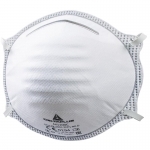 The convex shape for easier fitting procedure. 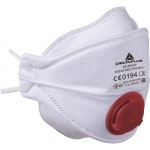 Exhalation valve offers improved comfort in hot / humid conditions or when the work is physically hard.